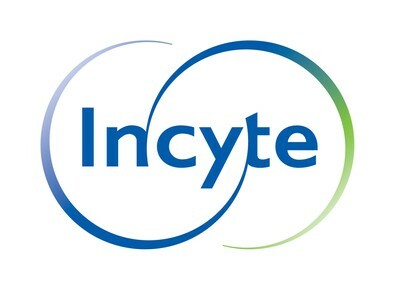 INDIANAPOLIS, July 19, 2018 /PRNewswire/ -- Eli Lilly and Company (NYSE: LLY) and Incyte Corporation (NASDAQ: INCY) announced today that results of a global systemic lupus erythematosus (SLE) Phase 2 study for baricitinib were published by The Lancet. The study, the first completed Phase 2 study of a JAK inhibitor in SLE, showed that a statistically significant proportion of patients treated with 4 mg of baricitinib achieved resolution of their SLE-related arthritis or rash compared to placebo at week 24, the primary endpoint for the trial. "Despite existing treatments for SLE management, there is a significant need for innovation and alternative treatment options to help patients manage their disease," said Lotus Mallbris, M.D., vice president, immunology development, Lilly Bio-Medicines. "We are very happy to share these data suggesting baricitinib's impact on disease activity and symptoms that matter to patients, including joint pain, and look forward to further investigation of this important new compound in Phase 3 trials." 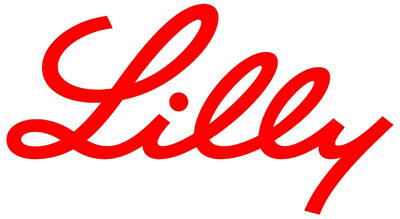 Lilly plans to initiate Phase 3 trials to evaluate the safety and efficacy of baricitinib for the treatment of SLE in the second half of 2018. In the study, 314 patients were randomized 1:1:1 to receive placebo, baricitinib 2 mg or baricitinib 4 mg. Patients treated with 4 mg of baricitinib experienced improvements compared to placebo on several pre-specified secondary endpoints. Compared to placebo, a statistically significant greater proportion of patients treated with 4 mg of baricitinib experienced lower overall disease activity at week 24 as measured by the SLE Responder Index 4 (SRI-4). A statistically significant greater proportion of patients treated with 4 mg of baricitinib achieved a state of low disease activity, as measured by the Lupus Low Disease Activity State, and experienced improvements in pain from baseline, two exploratory endpoints of the study. The percentage of patients stopping therapy through the 24-week treatment period was 21 percent in the placebo group, 18 percent in the 2-mg dosing group and 17 percent in the 4-mg dosing group. The most common treatment emergent adverse events (TEAEs) in the baricitinib groups were upper respiratory tract infections, including viral upper respiratory infections, and urinary tract infections. The frequency of serious adverse events (SAEs) was 5 percent for placebo, 10.5 percent in the 2-mg dosing group and 9.6 percent in the 4-mg dosing group; the most common SAEs were serious infections. One case of deep vein thrombosis was reported in the 4-mg dosing group. There were no deaths, malignancies, major adverse cardiovascular events, tuberculosis, or serious herpes zoster infections. "Systemic lupus erythematosus is a chronic, multi-organ autoimmune disease characterized by periods of flare and remission and is associated with a variety of symptoms, including joint pain and swelling," said Daniel Wallace, M.D., lead author and Professor of Medicine and Associate Director of the Rheumatology Fellowship Program at Cedars-Sinai Medical Center. "Notably, these Phase 2 data showed improvements in pain associated with SLE, one of the more challenging symptoms for these patients, and I look forward to the investigation of baricitinib in Phase 3 trials for SLE." The data were also presented at the Annual European Congress of Rheumatology (EULAR 2018). Over the 24-week treatment period, 67.3 percent of patients treated with 4 mg of baricitinib and standard of care achieved resolution of their SLE-related arthritis or rash compared to 53.3 percent for placebo (p<0.05). The percentage of patients achieving a SRI-4 response at Week 24 was significantly greater for those treated with baricitinib 4-mg compared to placebo (64.4% for baricitinib 4-mg versus 47.6% for placebo, p<0.05). No statistically significant differences were observed between the 2-mg and placebo groups across primary or secondary endpoints at Week 24. The primary endpoint was the proportion of patients achieving resolution of arthritis and/or rash, as defined by the SLEDAI-2K, over the 24-week double-blind treatment phase. OLUMIANT is a once-daily, oral JAK inhibitor for the treatment of adults with moderately-to-severely active rheumatoid arthritis who have had an inadequate response to one or more TNF inhibitor therapies.4 There are four known JAK enzymes: JAK1, JAK2, JAK3 and TYK2. JAK-dependent cytokines have been implicated in the pathogenesis of a number of inflammatory and autoimmune diseases.5 OLUMIANT has greater inhibitory potency at JAK1, JAK2 and TYK2 relative to JAK3; however, the relevance of inhibition of specific JAK enzymes to therapeutic effectiveness is not currently known.5 OLUMIANT is approved in more than 40 countries. This press release contains forward-looking statements (as that term is defined in the Private Securities Litigation Reform Act of 1995) about OLUMIANT (baricitinib) as a potential treatment for patients with systemic lupus erythematosus and reflects Lilly and Incyte's current belief. However, as with any pharmaceutical products, there are substantial risks and uncertainties in the process of development and commercialization. Among other things, there can be no guarantee that future study results will be consistent with the results to date, that baricitinib will receive additional regulatory approvals, or be commercially successful. For further discussion of these and other risks and uncertainties, see Lilly and Incyte's most recent Form 10-K and Form 10-Q filings with the United States Securities and Exchange Commission. Except as required by law, Lilly and Incyte undertakes no duty to update forward-looking statements to reflect events after the date of this release. 1 Kyttaris VC. Systemic Lupus Erythematosus: From Genes to Organ Damage. Methods in molecular biology (Clifton, NJ). 2010;662:265-283. doi:10.1007/978-1-60761-800-3_13. 3 Lupus Foundation of America, Lupus facts and statistics, https://resources.lupus.org/entry/facts-and-statistics. Accessed on June 7, 2018. 4 Olumiant [package insert]. Indianapolis, IN: Eli Lilly and Company; 2018. 5 Walker JG and Smith MD. J Rheumatol. 2005;32;1650-1653.